ESCAPE the cold British winter with this beautiful one-and-a-half-acre private island with three residences that could be yours for just over £1.1m. Incredible images show the island from above as well as the exterior of the 1128-square-foot main cottage and the lush gardens leading to the water. Other striking shots show the large open-plan dining area and kitchen, spacious living area and cosy bedroom. 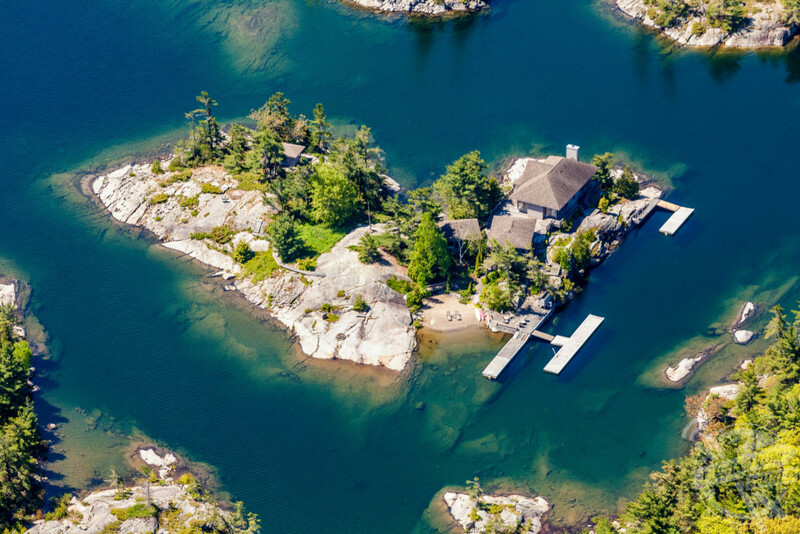 Navy’s Acre Island is located in Georgian Bay, Ontario, Canada and is currently listed by www.privateislandsonline.com for just over £1.1m. 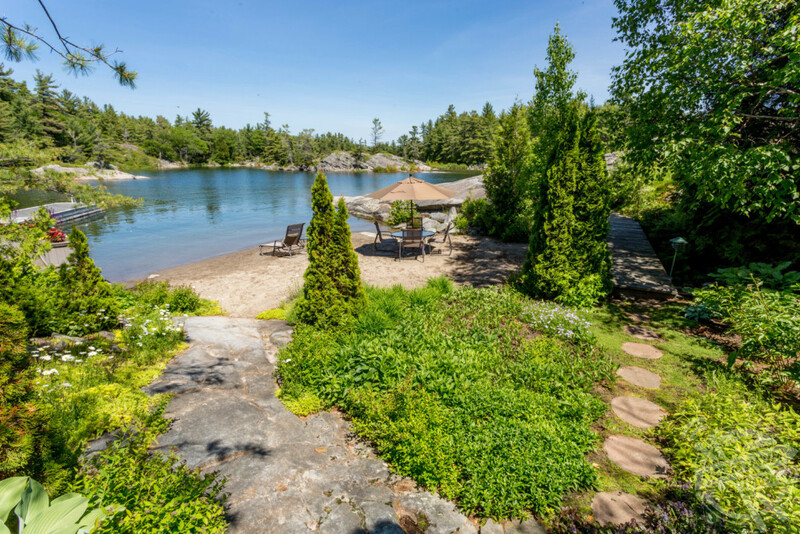 “Located in the heart of Sans Souci, Georgian Bay, Navy’s Acre is a gem of an island,” states the listing. 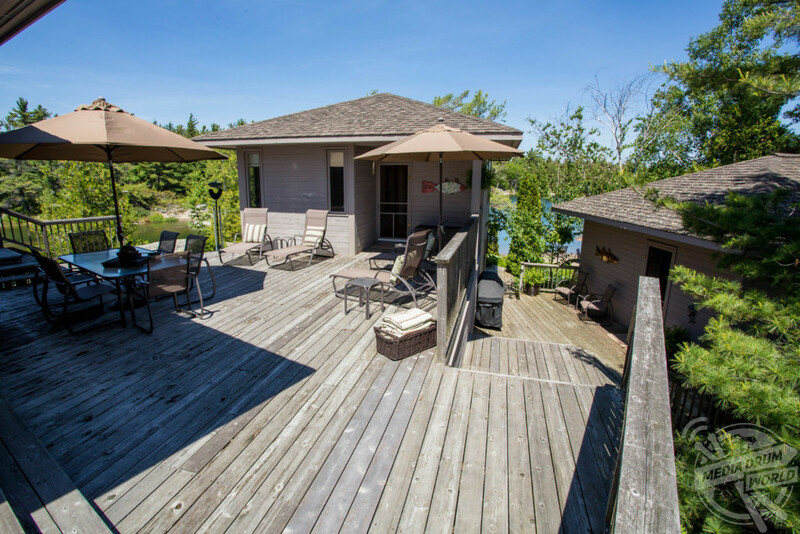 “Unquestionably a turnkey property it features a gracious main cottage, a separate master cottage, three bedroom guest cottage and a four bunk waterside sleeping cabin. Designed by noted architect Peter Burton of C.A. 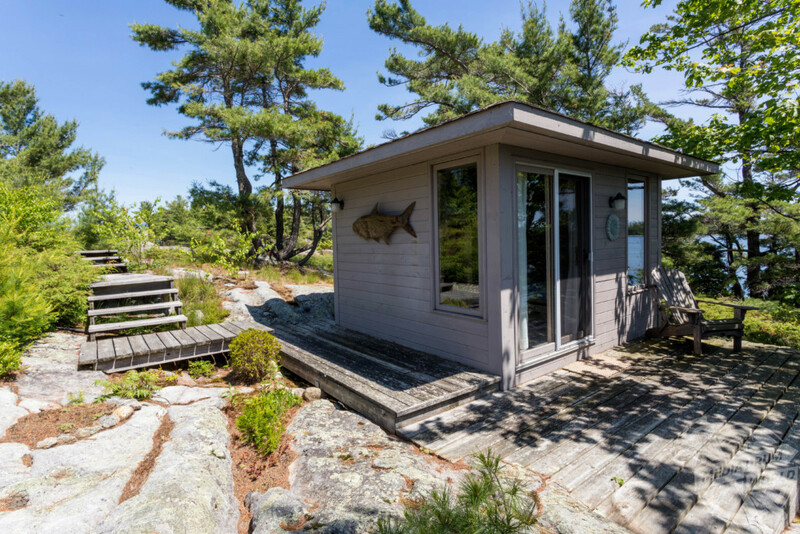 Ventin Architect Ltd. and built to exacting standards by Paul Hannon Construction, the buildings, decks and boardwalks have been immaculately maintained and cared for. 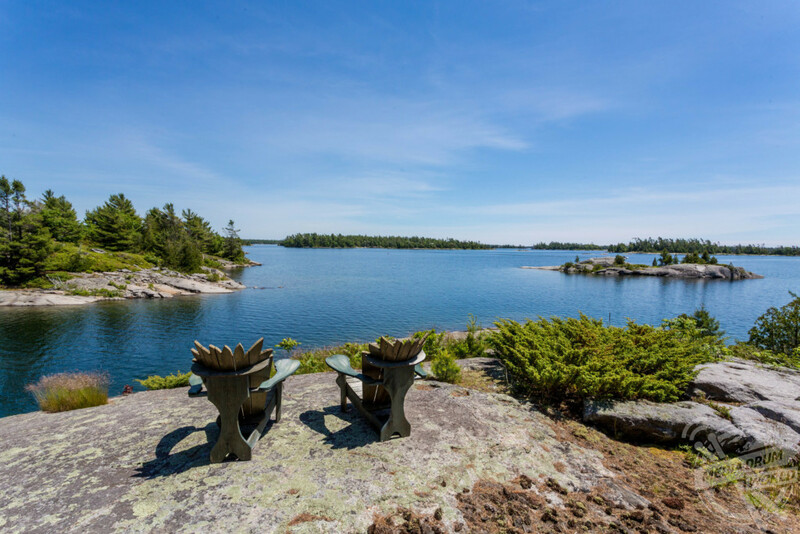 “The 1.5 acre island is sheltered from the prevailing westerlies and has a large, deep water, protected harbour enhanced with extensive decks and docking. Boardwalks, granite flagstone and natural stone pathways are seamlessly integrated into the natural topography of the island leading from the cottages through charming gardens, to the harbour, a large sand beach, firepit, stone barbeque and on to look out points and quiet seating areas throughout the island. “This a wonderful property for entertaining numbers large or small with an open plan main lodge flowing onto spacious stepped decks and, with separate sleeping pods, it makes an ideal extended family compound. Open in plan the 1128 sq. ft. structure serves as the central gathering place for family and guests with living, kitchen and dining areas, a three piece bath and an upper loft/family room which overlooks the main floor. 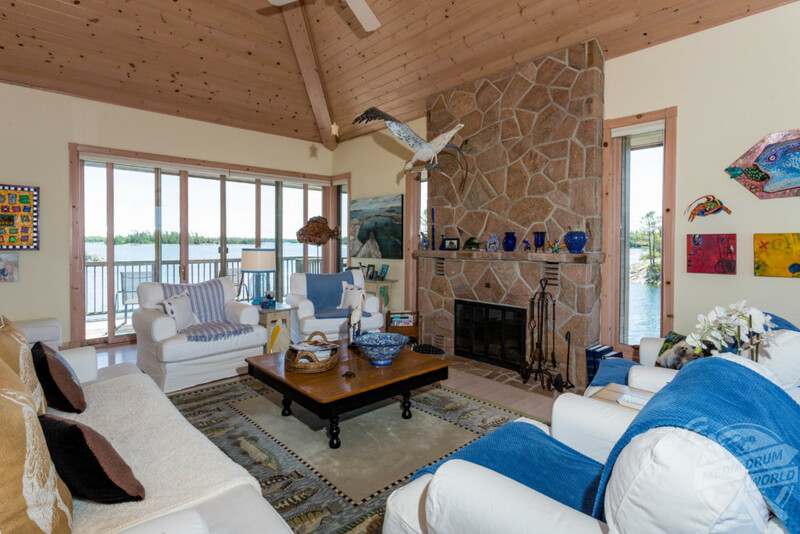 The living room is anchored by a floor to ceiling, quarried local granite, wood burning fireplace. Both the living and dining rooms feature floor to ceiling window walls which reveal magnificent water views and flood the cottage with natural light in all weathers. 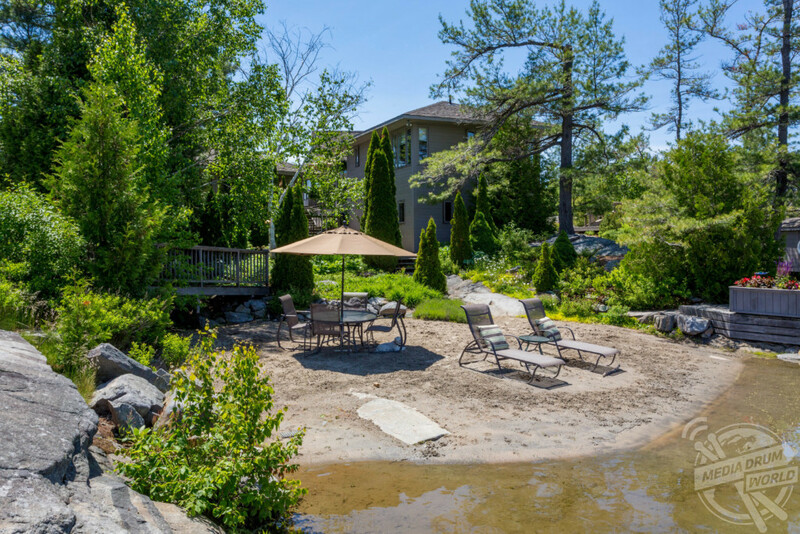 Walk outs to generous surrounding decks extend the living space with areas for al fresco lounging, cocktails and dining. 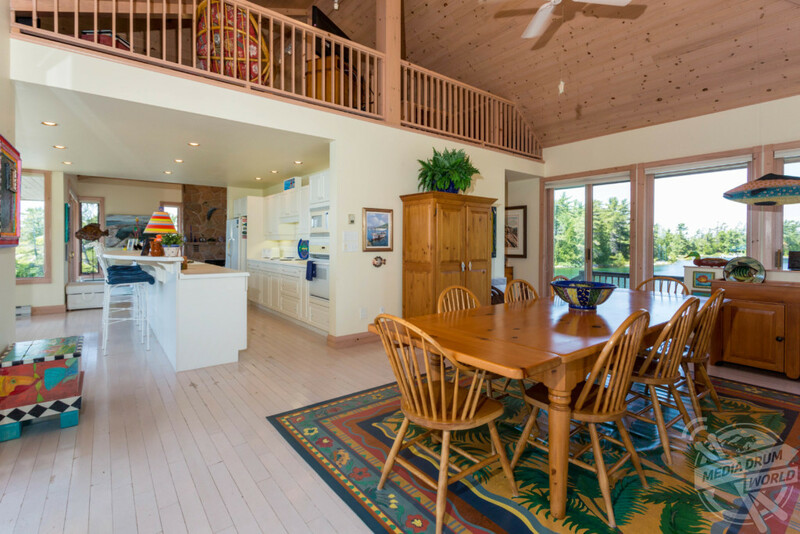 A large, airy galley kitchen has built in appliances, a kitchen island and a walk in pantry/storage room. A bank of bay windows opposite the island wraps a breakfast area overlooking stunning southern views. 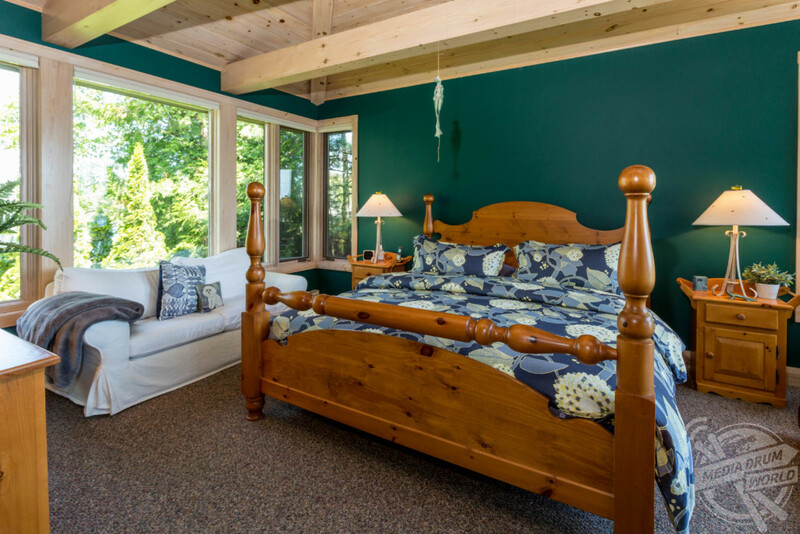 There is also a three-bed guest cottage, a one-bed master cottage and a sleeping cabin with bunk beds. In total the island can comfortably accommodate at least 12 people.